$34.95 In stock. Order in the next 11 hours, 47 minutes and it will go out today! It's a magical life-like butterfly. People are amazed as they watch it fly in the air....fluttering around you. 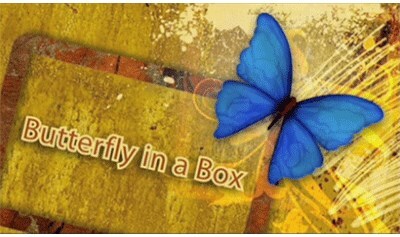 The "Butterfly in a Box" is ready to go at anytime. Take it out of the box and watch it do its magic. It is easy to perform...adding elegance and beauty to your performance. You can catch the butterfly, make it disappear and re-appear at any time. There are several routines and uses to choose from. No threads are used and yet you still have full control of the butterfly at all times. Comes with beautifully packaged box. Use the box as a prop. Over a 1-hour detailed HD DVD of the effect. Username and password for private online video support tutorials.